Ideally, you’ll choose the right web host the first time around so you don’t have to move your site later. Often, people realize their first host doesn’t meet expectations and they end up paying someone to move their site. In order to help you get to your second host the first time around, here’s a comprehensive guide with everything you need to know as you choose a web host. It’s impossible to have an accessible website without a web host. If your site isn’t hosted somewhere, it might as well be www.creedthoughts.gov.www\creedthoughts. If you don’t want your content accumulating in an offline word doc, your site must be hosted on a server connected to the Internet. Web servers are computer systems that process requests via HTTP, which is used to distribute information on the Internet. When someone wants to view your website, they’ll go to your website’s address or URL, which will connect their computer to your server. Your server will have your web pages stored and deliver them via Internet browser when your URL is accessed. Web hosting companies like pair Networks provide the server hardware, software, maintenance, and Internet connectivity required to make this a seamless process. Often, it’s easier and less expensive to host your site with an already established and experienced company like pair Networks (est. 1996). Note: Even if you use a popular CMS like WordPress, you’ll need to host your content somewhere just as you would with a conventional site. Choosing a web host requires an understanding of your websites’ requirements and your hosting options. Are you starting an ecommerce site? How big is your site? Do you need an SSL certificate? Once you’re able to answer all of these questions (and a few more), it will be easier to choose a web host that meets your unique requirements. Before you explore web hosting companies and their various hosting plans, you need to understand your own website. You don’t want to buy an expensive hosting plan designed for a large corporation with thousands of monthly visitors if you’re just starting your first WordPress blog. What is your web hosting budget? For your first host, finding the cheapest host is likely the number one thing on your mind. Unfortunately, cheapest doesn’t always mean best. Determine your maximum and minimum monthly budget now so you don’t feel tempted to overspend or skimp later. What type of website are you making? This is a pretty broad question, but your answer will help you determine what stage of the creative process you’re in. Maybe you’re building your site with a CMS or static HTML. Or maybe you’re building an ecommerce site or a blog. Maybe all you know right now is that you want to build a site. No matter what stage you’re in now, continue reading to learn about your website’s requirements and the process of launching a site with a reliable host. How many sites will you have? Will you add a subdomain or two in addition to your main website? The number of sites you have will help determine the scope and scalability of your hosting plan. 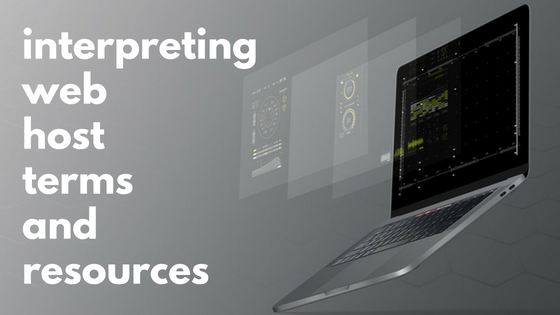 How would you describe your technical skill level and past technical experiences? Know your limitations when it comes to technical knowledge. You won’t be able to do everything by yourself and spending a little extra on good support will make a world of difference. Will you need a custom domain email address with hosting? Setting up a custom email address to match your website’s domain looks more professional and trustworthy than using your gmail account. If you want a custom email address, add “email hosting” to your checklist when researching web hosts. What does your website require? When it comes to coding languages, database types, and other technical details, find out what your site requirements are (see below for more). Armed with these technical details, you’ll know which web hosting companies can offer compatible services. How much security does your site need? All sites require a minimum level of security, especially since SSL certificates became nonessential to Google. Some sites, like ecommerce sites, will need even higher levels of security to process payments. How much data will your sites need? In other words, how much space will your website take up on the server? If your website is all videos and huge image files, you’ll need more disk space than an all text site. How much website traffic do you anticipate? If you’re starting a brand new site, you can expect fairly low traffic volume until you start building and growing your online presence. Estimate how much traffic you expect now and in the future to help you choose a hosting plan. 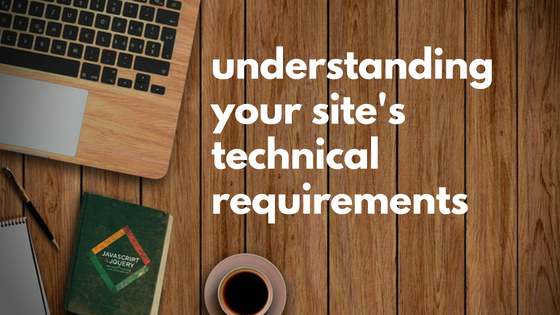 After reviewing the checklist and gathering as much technical information about your site as possible, it’s time to understand what that information means. Once you understand what your website needs, you will find it easier to choose a host with compatible services. You’ll also learn the basic terminology and how to interpret the information web hosting companies provide on their websites. As you search for a web host, you’ll notice they support various coding languages and frameworks. At pair Networks, we support Apache Web Server, Ubuntu OS, FreeBSD OS, Linux OS, Full SSH Access, PHP, Perl, Python, MySQL, PostgreSQL, and Ruby on Rails. That’s a lot of tools! You probably need a database for your site unless it’s a static HTML site. For dynamic sites like WordPress, figure out what kind of database your host provides and if it’s compatible with your site. You should also consider how many websites you have or plan to create in the future. If you have more than one site, you’ll probably need multiple databases as well. WordPress requires support for PHP and MySQL databases. Most hosts already support the right versions of these (PHP 5.6 and MySQL 5.5), but it doesn’t hurt to verify. WordPress sites also require support for search engine optimized permalinks. An SEO permalink looks like this domain.com/my-post-title while the automatically generated permalink looks like this domain.com/p?=134. In order to improve the visibility of yours posts, your host will provide an Apache or Nginx based server with support for mod_rewrite. For other content management systems, the requirements will usually match those of WordPress. You can check the download page or installation documents of your CMS to double check. Check the download pages for any themes, plugins, or extensions you have also. Most of the time, your various site tools won’t have special hosting requirements, but it’s better to be sure. Static HTML sites are less complex than dynamic sites. If you want to include a contact form on your static site, consider how the form will work. How will your contact form translate submissions to email scripts? However you decide to enable your form, you’ll need to make sure it’s supported by your host. If you’re building an ecommerce website, you could use either a standalone system or a plugin-based system. A standalone system like Shopsite is essentially a specialized type of CMS with higher levels of security to protect your customers. For both plugin-based systems such as WP-eCommerce and standalone systems, make sure your host supports them and additional security. You will need to protect your customers information with extra security measures like SSL certificates. You can manage your website and your web hosting resources from an account dashboard. At pair Networks we created a management dashboard or account control center known as the ACC. While most hosts use the third-party control management tool known as cPanel, pair’s custom-built ACC makes it easier for our customers to manage their site and resources. When it comes to website security, you can never be too careful. As you compare hosting providers, you will see security measures such as SSL certificates, IP deny, backups, and malware protection. How much security does your site need? Many companies provide access to secure sockets layer (SSL) certificates. SSL certificates essentially offer an extra layer of protection for your website visitors. If they interact with your site by submitting an email address or credit card number, that information is vulnerable as it travels from their browser to your server. An SSL certificate protects that information as it travels. SSL certificates will also help your site’s search ranking. You can purchase SSL certs through your host and manage them from your account. 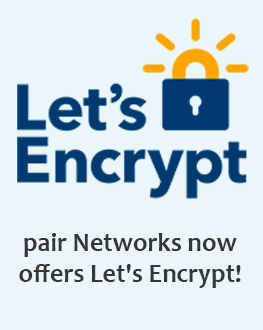 pair Networks offers SSL certificates for as little as $10/year or even use our free Let’s Encrypt certificate option. Many hosts offer some kind of backup system for your site. Having backups in place will help you avoid losing work to software malfunctions or cyber attacks. Check to see which web hosts implement routine backups. Many hosts will restore your site from an automated backup service that comes with your hosting account. Depending on the host, you may be charged a fee to access and restore the backup. At pair Networks, we offer a variety of backup solutions including scheduled backups, disaster recovery backups, and configurable automatic backups. You can learn more about our automated backups with our guide: Back that Site Up: A Backup Guide through the ACC. Malware describes hostile or intrusive software that can take over your computer. This malicious software can result in stolen information like credit card numbers, outgoing spam emails, sluggish browser speeds, and more damage. While choosing a web host, check to see what they can offer when it comes to malware protection. How many websites are you building? Many basic hosting packages allow you to only register and host one domain with multiple subdomains. If you plan on adding more top level domains in the future, make sure your host provides easy scalability. Without a seamless upgrade path, you could be stuck with services too limited for your needs. How large your website is will determine how much data storage you need. Your estimated monthly website traffic will determine your bandwidth needs. Consider pair Networks Shared Hosting Package 1 which offers 15 GB of disk space and 75 GB of bandwidth monthly. 1 GB (1000 MB) of data stores thousands of text-only emails, 200 four-minute songs, or a 30 minute episode of a TV show. A typical web page including a mix of images, text, and code will take up about 1.6 MB of space. Generally the majority of personal and small business sites online are well-suited for Shared hosting when it comes to storage space. Your bandwidth will require more space because it’s essentially your website’s data multiplied by your monthly web traffic. So, if you anticipate a high volume of email correspondence or intend to use many dynamic elements like video, then a VPS or Dedicated hosting plan may fit your needs better. Calculating how much bandwidth you need will be next to impossible. It’s often easier to start with a small plan and then upgrade as needed. Note: Always check the terms of service when a host promises unmetered bandwidth. Unmetered often doesn’t mean unlimited and could actually result in your site getting shut down without warning if you exceed a certain point. Finding a flexible and transparent host with easily scalable services is essential if you’re not sure what you need yet or if you plan on growing in the future. Some pair Networks customers will even scale their services seasonally based on when they get more web traffic. Different hosts will use different terminology to describe the support they provide for each service. The most common descriptors are unmanaged, managed, and fully managed server hosting. Unmanaged hosting plans are often cheaper, but you won’t receive routine support or management from your provider. With an unmanaged plan, your host will provide hardware and network maintenance, but no software support. You have complete control over your server, but if something goes wrong or you need to install software, you’re on your own. With a managed hosting account, your host will support everything software, hardware, and networks related. Managed hosting means less work for you. It doesn’t require as much technical expertise as unmanaged hosting because you have expert support staff available to help you if something goes wrong. Fully-managed support services are much more comprehensive. pair Networks offers fully-managed hosting, which means we do everything. We provide regular support and help you learn to use your new hosting services. If something breaks, we’ll help you fix it no matter the cause. When you choose a web host, you want to do your research and make sure you get exactly what you want. A bad web host could have serious consequences for your website so check reviews and customer testimonials. There’s no better way to understand how a company treats their customers than by asking them. 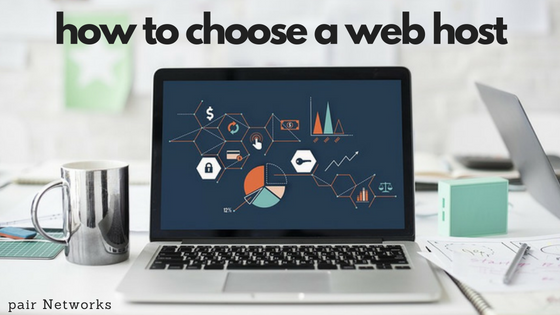 Now that you know what to look for as you choose a web host, here are the different types of web hosting you’ll encounter. Most web hosts provide some combination of five main types of hosting: Shared, WordPress, VPS, Dedicated, and Cloud hosting. Shared hosting services are usually less expensive because you’re sharing one server’s resources with other Shared hosting accounts. Your account is still separate and only you will have access to it. With Shared hosting, you will only share the hardware and its resources like memory and RAM. WP hosting is optimized for WordPress websites and users. Hosting services already optimized for WordPress will make your life easier as you develop your site. WordPress has specific requirements that often require specific optimization not covered in regular Shared or VPS hosting plans. For example, pair’s WP hosting plans include the WordFence security plugin, one-click WordPress installations, and automatic WordPress core updates. We also recently upgraded our WP service to include automated backups and staging. VPS or virtual private server hosting is where you share one server with other accounts. Unlike Shared accounts though everyone has a fixed amount of resources and their own operating system and server software. This allows you to operate as though you have your own private server. With a dedicated server account, you get the whole server to yourself. This allows you to have a higher level of customization and control over your server than other types of hosting. At pair Networks, our custom-built QS (Quick Serve) dedicated servers come with a ShadowDrive. ShadowDrives allow for an extra level of caution by copying each drive for backup. So, if your hard drive fails, we will already have a backup drive ready to go. Cloud hosting is the most flexible type of web hosting. Instead of building and running an infrastructure to run in-house applications or CMS, you can upload and configure applications on the cloud. The infrastructure already exists so you can focus on developing your applications. Reseller hosting describes a symbiotic relationship between a host and a reseller. The web host managed the servers and hardware maintenance while the reseller manages the accounts and interacts with customers. You might be interested in becoming a web hosting reseller if your services complement a host. For example, a web designer who needs backend access to their clients’ websites may resell the services of a host. This allows the designer to have more control over their clients’ websites during the redesign process and provide site maintenance. 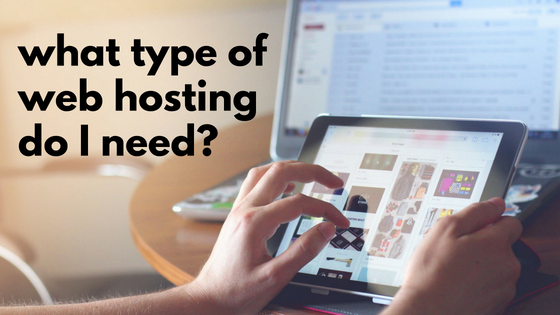 If you’re still not sure what type of hosting you need, take our quiz!